Paying for long-term care requires a thorough, secure plan of action that includes where you’re going to stay, when and for how long are you going to stay, and how you’re going to pay for your stay. If you’re planning for long-term care for you or a loved one, finding the “how” part of this picture can be confusing. 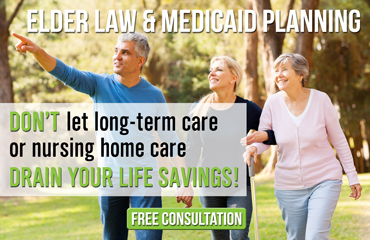 Medicaid, a healthcare coverage option for low-income individuals, can be a wonderful tool to help cover costs associated with long-term care. 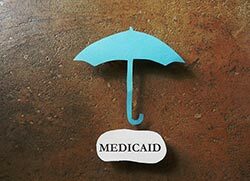 One question that many people have, however, is what does Medicaid cover? Medicaid covers assistance for activities of daily living. That is, the things that people do on a day-to-day basis that they’re otherwise incapable of doing for health or mobility reasons. Someone who has trouble moving about might not be able to wash themselves, go to the grocery store, or do the laundry. Medicaid can help pay for a home health aide that may assist in these tasks every day, multiple times a week, or once a week. Who knew that Medicaid could bring home the groceries and fresh, clean clothes? Readers are probably aware that Medicaid also helps cover prescriptions, nursing home stays, medical equipment, and doctor visits. Knowing exactly what Medicaid can provide, and what it can’t, is essential for any senior or individual who requires services that are out of the scope of traditional healthcare coverage policies. Getting advice from a professional experienced with Medicaid can be helpful for understanding the broad range of coverage offered by this national coverage policy.